SCPD: Nicholas Mistretta of Shoreham, 24, was driving eastbound on Route 25A bypass when his vehicle left the roadway and struck at tree. SCPD are investigating a single-vehicle crash that killed a man in Rocky Point. 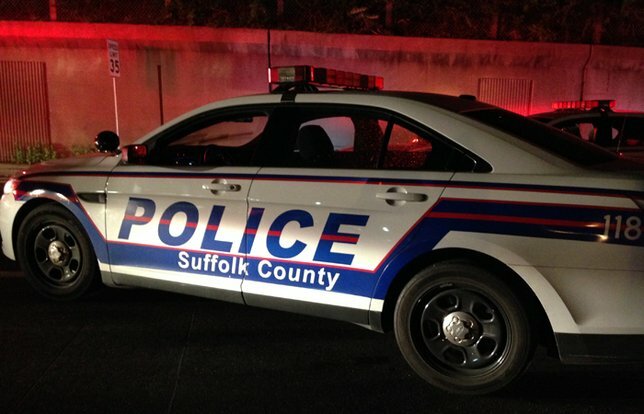 Rocky Point, NY - February 12, 2018 - Suffolk County Police Seventh Squad detectives are investigating a single-vehicle crash that killed a man in Rocky Point on Monday, February 12, 2018. Nicholas Mistretta was driving a 2009 Ford Focus eastbound on Route 25A bypass, east of Broadway, when his vehicle left the roadway and struck at tree at approximately 3:45 a.m. Mistretta, 24, of Shoreham, who was alone in the vehicle, was pronounced dead at the scene by a physician assistant from the Office of the Suffolk County Medical Examiner. The vehicle was impounded for a safety check. Detectives are asking anyone with information on this crash to call the Seventh Squad at 631-852-8752. Subject: LongIsland.com - Your Name sent you Article details of "Man Killed in Rocky Point Single-Vehicle Crash, Officials Report"